Finally! 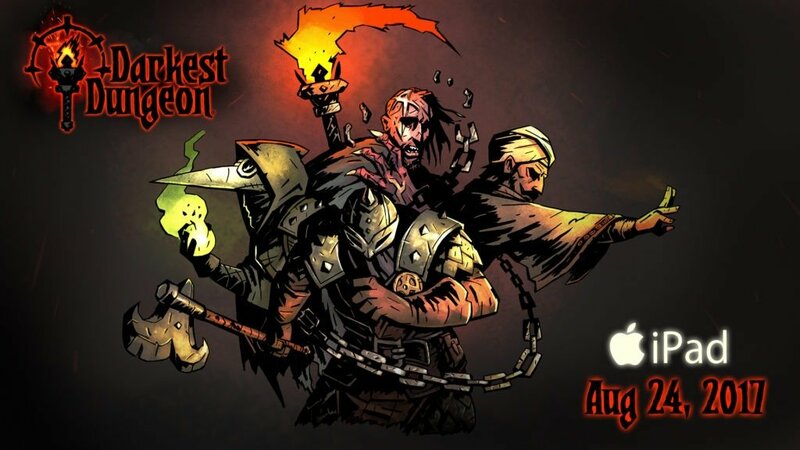 We’ve known for some time now that the great Darkest Dungeon game was coming to tablets, and now we have an actual date: August 24th. The developers have been working with Blitworks to bring the game to tablets, and they sound very excited to finally be bringing the game to our iPads. While the game is titled “Tablet Edition," it sounds like it’s a very faithful port, and the developers feel the touch interface is a perfect fit for (and the natural form of) the game. You’ll be able to suspend your game at any point due to its turn-based nature, which is a great feature when you’re gaming on the go (although it won’t be that much of a “game on the go" since it’s not going to be on your iPhone). The game will also allow you to use Dropbox to continue your PC save file on your iPad and the other way around. The game will be a premium one, although the price has yet to be announced. And the Crimson Court DLC will be coming our way later this year. I’m very excited to finally have Darkest Dungeon on my iPad, and I’m definitely streaming it on our Twitch channel. August 24th, everyone.